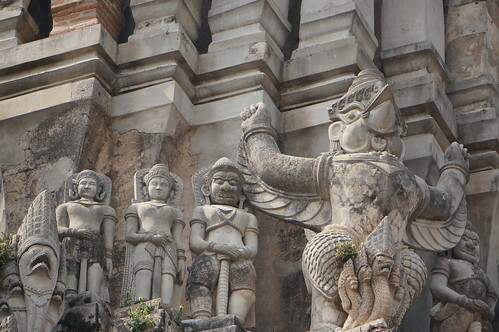 This is just a variation on a theme of what we had seen in Sukhothai and Si Satchanalai. 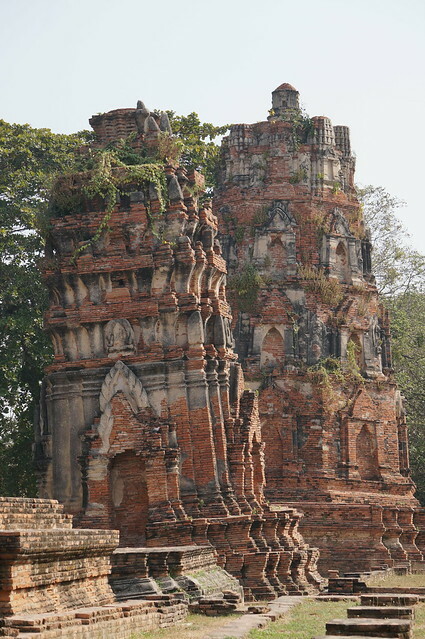 The remains of a massive city where only the temples had survived because they were built of stone. 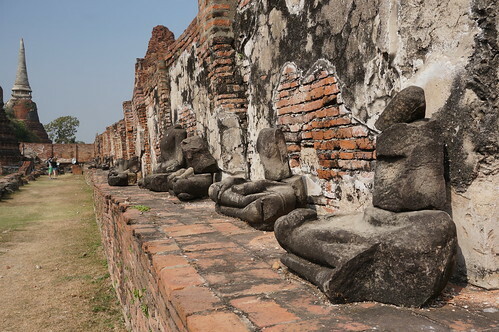 Ayutthaya is slightly different though, unlike the other cities it is still inhabited. The historical park is in the centre of the modern city, surrounded by houses, shops, schools, etc. 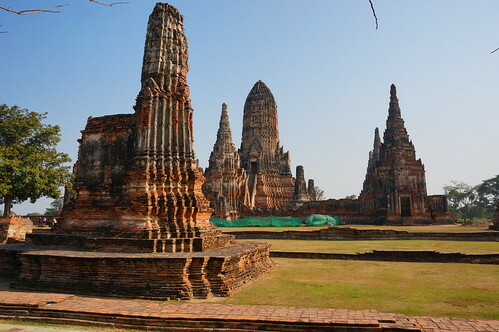 Ayutthaya was the capital city of the Ayutthaya Kingdom which lasted about 400 years and became what is now modern Thailand. 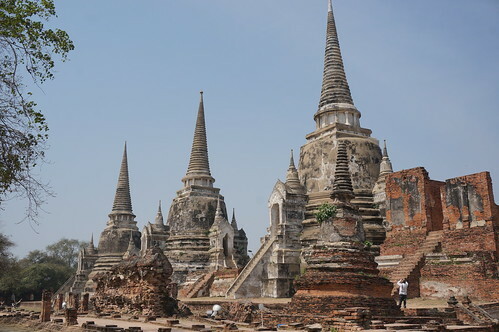 At it’s peak the city had a population of over 1 million inhabitants, making it one of the largest cities on earth in its day. 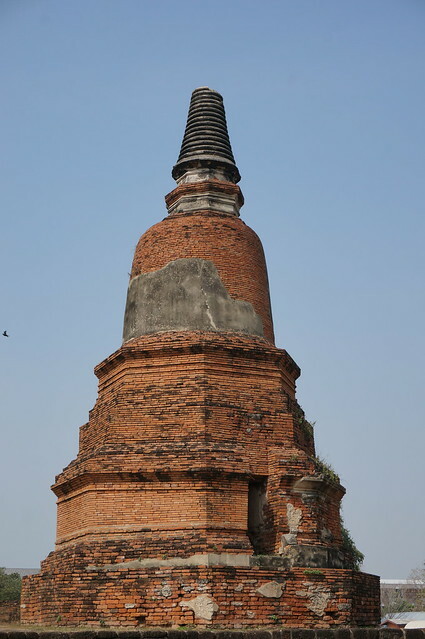 It sits on the Chao Phraya River about 50 miles north of Bangkok and was a major trading location. 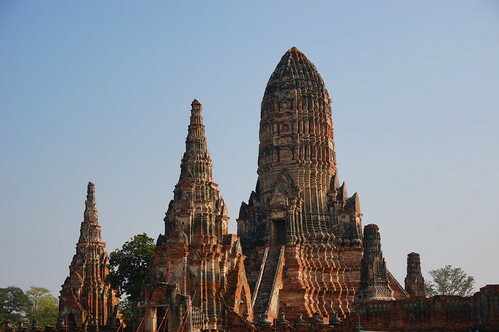 It traded not only within the kingdom, but around Asia and also with Europe. This made it very wealthy and also gave the city a cosmopolitan feel, a huge achievement. 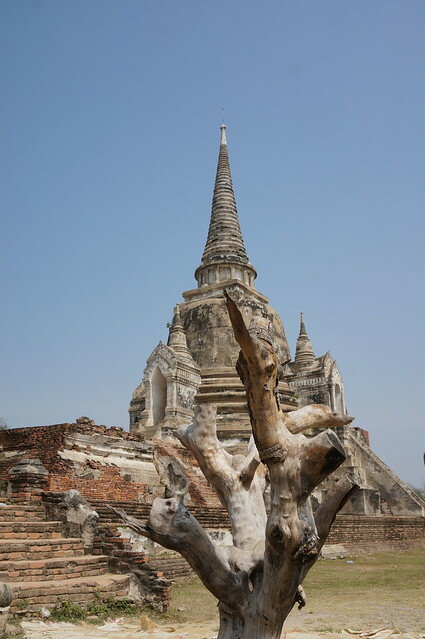 We hired a bicycle each and set off exploring the many temples of the city. 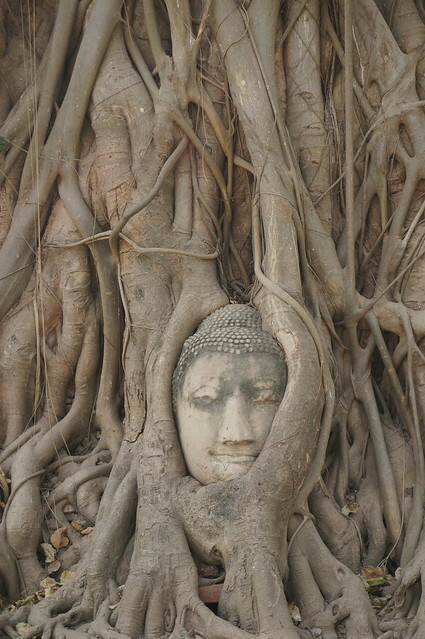 Nothing much else to say… We saw about 4 temples and a giant reclining Buddha. We had a decent day cycling around on the worst bikes we’ve had so far. 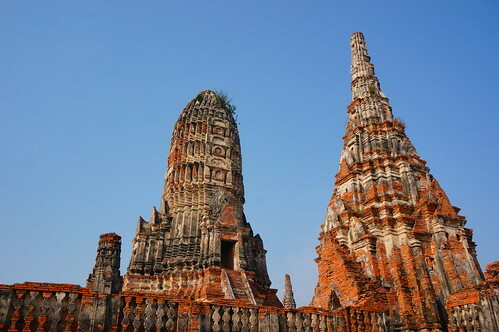 The photos for today are split into different sets, one for each Wat. 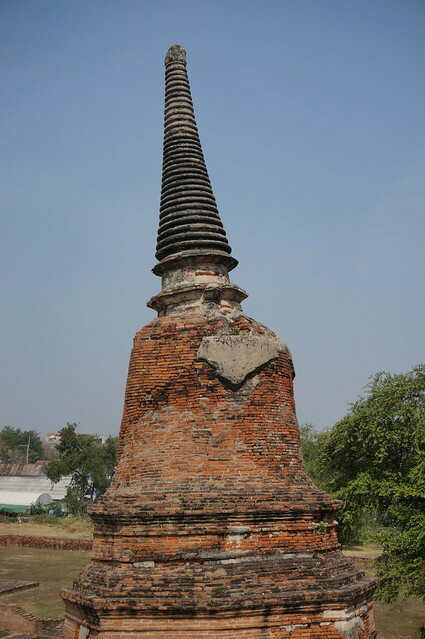 Posted from Phra Nakhon Si Ayutthaya, Phra Nakhon Si Ayutthaya, Thailand.